TREES PARKS, AND A WHITE SQUIRREL TOO. Trees, Parks and a White Squirrel, Too. Torontonians love parks, so staying within a short walk of two of the city’s best grants you instant access to the true Toronto experience. When you arrive at your rental, you'll see Stanley Park just outside your door. With rolling mounds and a meandering path ideal for aimless strolls, this little park is particularly charming. From shuffleboard to basketball, there are plenty of ways to spend a sunny afternoon here – and a wading pool to cool off when the excitement gets too much. Kids clown around on the playground while competitors of all ages take to a concrete Ping-Pong table. Plus, a dog-friendly attitude attracts many canine companions to Stanley Park. Just a few blocks north on Queen Street West, you’ll find Trinity Bellwoods Park – which is where I’ll be the moment the outside temperature allows it! Right on its outskirts lies Nadege Patisserie, where you’ll have your first breakfast on us. 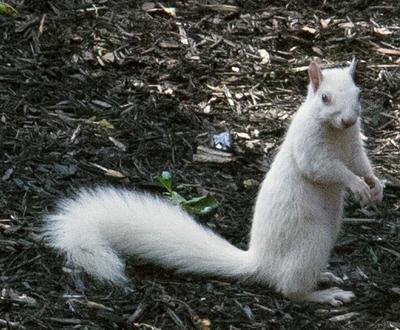 While you’re strolling Trinity Bellwoods, watch out for its furry mascot – the white squirrel. It’s considered good luck if you spot him! Some say you can attract him by rubbing two coins together to imitate the sound of a squirrel eating a nut. But we recommend putting that cash towards a get-lucky empanada at The White Squirrel, a laidback coffee shop named after the park’s shy icon, just across the street. Once spring breaks, Torontonians head out to the parks with our dogs, kids and friends. If you want a way to immerse yourself in the local culture of Toronto, it’s as easy as going to the park on a nice day.